Thankful for digital public schools? Tell your Legislator about it! As we approach the truly American holiday of Thanksgiving, there are many things for which I am grateful. One is the opportunity to choose what kind of schooling my kids receive. We are fortunate to have many educational choices in Washington, be it traditional brick and mortar schools, digital public schools, alternative learning experiences, homeschooling or the new charter schools springing up around our state. The reason we have so many options is parents and students spoke out about their needs and worked with legislators to make education better for all students. To keep these options available, it’s important to keep talking and telling our stories, specifically to our legislators. My first experience with talking with my legislators was at a Digital Learning Day at the Capitol six years ago. My husband, oldest son and myself came to the capitol and were inspired to talk to our senator and representatives. Even though I was nervous, it was an exhilarating experience and the best part was our legislators really wanted to hear from us. They all asked great questions and spent lots of time with us. They really heard what we had to say, and I feel we had the chance to put a face on digital public schools. The best part was my then seven year-old son got to share why his school was important to him which made a lasting impression. Getting to know your legislator is as easy as taking a few simple steps. 1. Find out who your state legislators are. This can be done simply by entering your address in this helpful tool on the state legislative website. 2. Call, write an email, or visit. Your legislators want to hear from you, their constituent. You are their boss, and your story and opinion matter. 3. Get to know their legislative assistant. Often your senator or representative may not be available, but a good conversation with his or her LA can go a long way to getting your message across. Your legislator depends on their assistant to be as educated as they are on the issues so take time to talk with the LA. 4. Follow them on social media. Facebook and Twitter are good ways to keep up with what your legislator is doing and what their position might be on an issue. Re-tweeting and liking posts they make shows you are paying attention to what they are doing. 5. Attend Digital Learning Day at the Capitol on March 6, 2015. This is a great event that gives students and families the chance to explore our capitol and learn how our government works. It’s also an excellent opportunity to meet with your legislators and their assistants and tell them why your digital public school works for you. Often, legislators don’t really understand what it is we do or what a digital public school looks like. You’re the expert about your family and your schooling choice so take a moment to get to know them and allow them to get to know you. If you ever need help in setting up an appointment with one of your legislators, please do not hesitate to contact us and we’ll work with you. Sally Karr is the President of Digital Public Schools Alliance and the learning coach to Austin and Andrew. Her family has enjoyed the benefits of digital public schools since her oldest son started kindergarten 8 years ago. 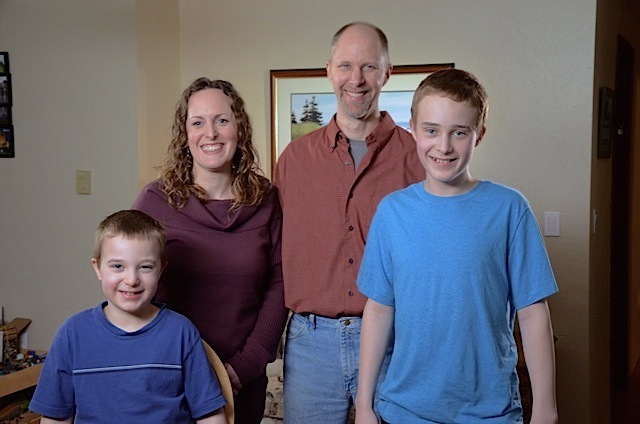 Her two children, Austin and Andrew, both currently attend Washington Virtual Academy, and her husband, James, teaches for the school as a middle school math teacher. The Karr family values the individualized, public school option and feels it best meets their kids' learning needs. In addition to being a learning coach, Sally works with state and national legislators and other parent advocates to advance parental choice and to get the word out about this high quality educational option. Sally has been a member of the Digital Public School Alliance board for the past two years.